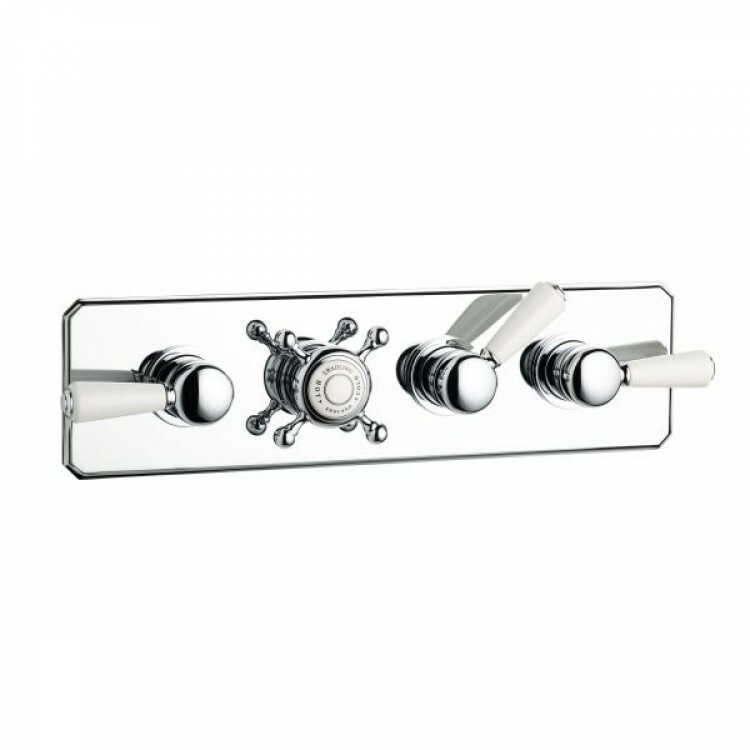 The Invincible Triple Controlled Shower Mixer is a highly efficient Thermostatic Shower valve, performing superbly with most plumbing systems on low or high pressures. A long standing Swadling Brassware collection, Invincible has a tried and tested quality and a durability which lives up to its name. This model has one thermostatic control for temperature regulation and three flow controls which operate three outlets – Shower, Deluge and Body Jet options can be selected from the Invincible Shower Assemblies. A fourth open outlet can also be used with a separate flow control if required.